Happy Release Day Circus Mirandus Giveaway! 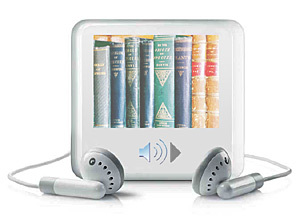 Did you know June is Audiobook Month? I don't remember exactly when I first started listening to audiobooks. Most likely from the time I was very, very young. I remember checking out book and cassette tape sets from my local library. You know, the ones that had a beep to tell you when to turn the page. Then as I got older, I checked out chapter books. I would listen to them at night before I would go to bed and then I'd have to remember where I left off and rewind the book in the morning! My most favorite audiobook to listen to as a kid was From the Mixed Up Files of Mrs Basil E. Frankweiler-I listened to it so much I had parts of the book memorized. I'm sure most of the check outs on that audiobook from the library were from me! I didn't listen to audiobooks after elementary school much and didn't give them much thought for a long time. Then when it turned out we were moving and it would be a 9 hour car ride, my mother-in-law suggested that we listen to audiobooks to help pass the time. Mr. GreenBeanSexyMan and I listened to Harry Potter and I fell in love with audiobooks all over again. Now I recommend audiobooks to every patron who comes into my library, I have a list of favorite narrators, I eagerly await the announcements of the Audies Awards and the Odyssey Awards each year, and I even review for AudioFile Magazine! So to celebrate audiobook month, I plan on sharing lots of audiobook reviews this month. First up are a few that I reviewed for AudioFile Magazine and gave Earphones Awards to (the equivalent of a starred review) You can click on each title to read the full review. Monstrous by MarcyKate Connolly-A chilling tale that weaves fairy tales, Frankenstein, and magic together for older middle grade and YA listeners. And a few others I reviewed that are well worth the listen! 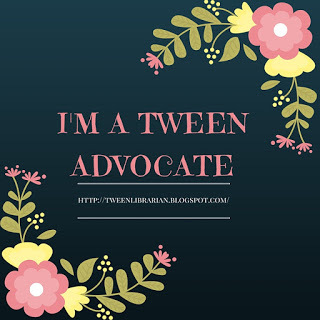 I have a patron and her child who are avid audiobook listeners; could you tell me some of your favorite narrators/audiobooks for young/middle grade? I would love to give them some more favorites! I wish I was in my car more so I could listen to audio books. I used to have a longer commute, but now I don't!